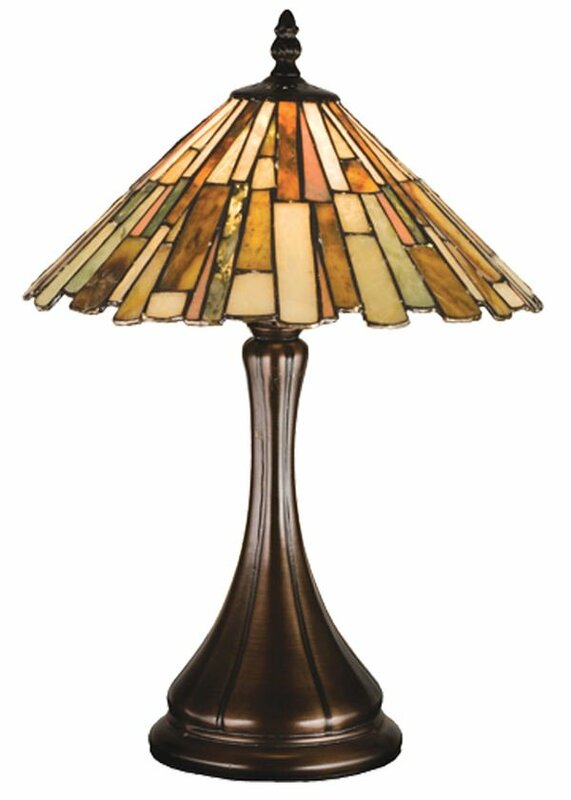 Thinly Carved And Polished Natural Jade-stone In Earthy Tones Of Moss Green, Tan, Ivory And Coral, Become Luminescent In This Unique, Tile Patterned Shade. 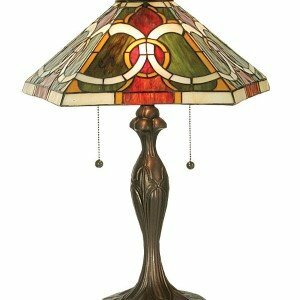 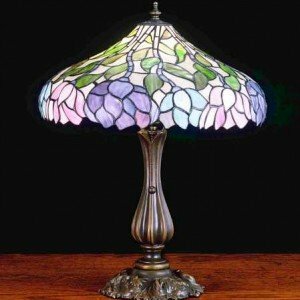 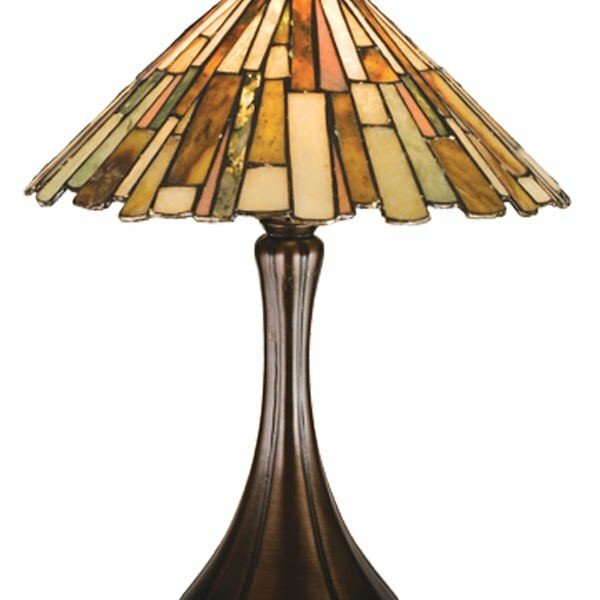 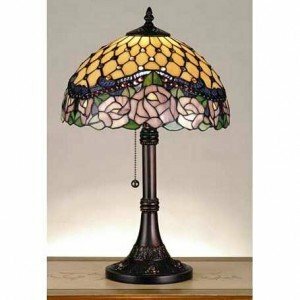 The Stone Shade Is Crafted With The Same Copper Foil Process That Is Used On Stained Glass, Tiffany Style Shades. 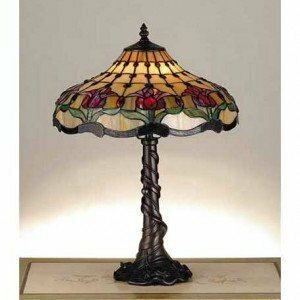 A Mahogany Bronze Finished Base Completes This Handsome Table Lamp.